Best-of-breed is the concept that several solutions working closely together can create a better experience for end users and IT teams than a single-vendor solution. At Zoom, we subscribe to this school of thought. Sure, we provide a comprehensive video-first unified communications platform, but we don’t pretend to be everything to everyone. With help from a tight network of partnerships, we provide the best experience for our customers. There are three main pillars of the best-of-breed mentality. First, you cannot expect one vendor to do everything…at least not very well. 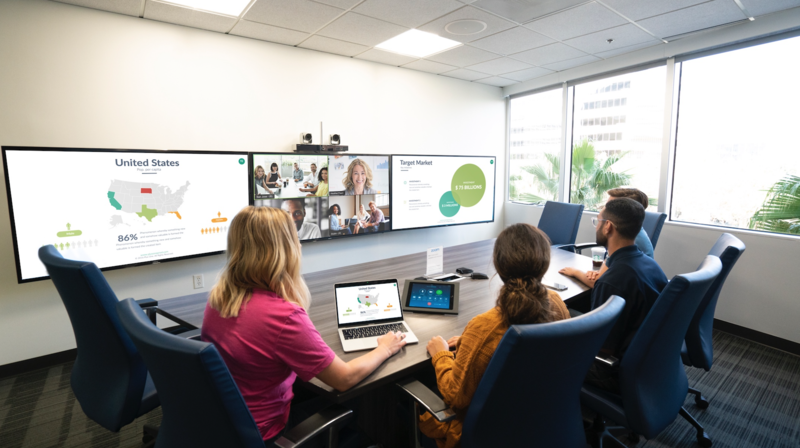 Companies build core competencies in certain areas – Okta in identity management, Zoom in video communications, Slack in team collaboration, Box and Dropbox in content management (they are both strong offerings depending on your needs), and so forth. Companies can build out their product suites, but there are limitations to their areas of expertise. If you choose a vendor that does all of the above, then at least one component of their solution isn’t going to be the best option out there, resulting in a loss in productivity and happiness for your teams. Second, if you try to implement a single-vendor model, maybe for the benefit of having just one “neck to choke,” you risk significant shadow IT. Your employees want the best solutions, and they will find and use them, even without your awareness or support. A recent report from Expensify shows that employees will just expense the best collaboration solutions if IT doesn’t provide them (Zoom, Slack, and Twilio are the top-expensed technologies by employees). Additionally, according to Okta’s 2019 Businesses at Work report, 76% of Okta’s Office 365 customers have one or more apps that are duplicative of apps offered by Microsoft. Over 28% are chatting on Slack. Nearly 24% are connecting with their colleagues on Zoom. And third, best-of-breed is a fantastic convenience of the software-as-a-service era. When software had to be managed from the client operating system, it was inconvenient to have multiple services. But now that all services are delivered from the cloud, end users can more easily find, test, and adopt the best-of-breeds, and IT can more easily update and manage them. So, if we agree on best-of-breed, what do we do now? For providers, the most important thing is that SaaS companies come together to build thoughtful workflow integrations, so that it doesn’t feel to the end user like they are switching between multiple solutions to try to get their work done. At Zoom, we have prioritized forming relationships and teams with other leading SaaS providers to get tight integrations successfully in the hands of our users. Recently we announced partnerships with Atlassian and Dropbox to offer seamless integrations. All of us will win if we take an open-minded approach to embrace other services into our platform, even if this might entail some overlap with our own features. For customers, it’s simple. In addition to quality, reliability, user experience, and functionality, add two things – interoperability and openness – to your list of key requirements. Zoom + any number of solutions is better than Zoom alone, and certainly better than using an all-in-one vendor with some seriously buggy video software.